IS THIS A GOOD TIME TO BUY PLATINUM? At current prices, there is blood in the streets in the platinum market. The largest South African mining companies (80% of global supply) are operating at a loss, and are selling off assets. 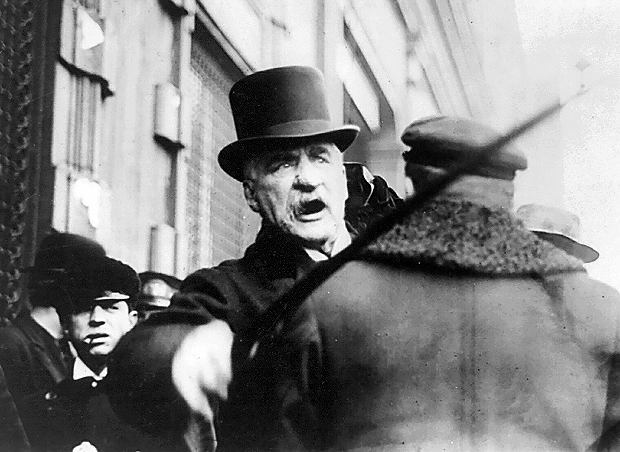 What is JPMorgan looking to buy during this “platinum fire sale?” PLATINUM MINES. (Mission Accomplished Sept. 2015)* JPMorgan Cazenove’s long-term forecasts have not altered from previous forecasts. Sept. 9, 2015: Sibanye Gold Ltd. purchased the Rustenburg platinum shafts from Anglo American Platinum (sale price: 4.5 billion rand plus shares). We are witnessing a worldwide debt-crisis; and the collateral damage will affect U.S. markets. We recently published “Weimar: First DEFLATION Then INFLATION.” That is exactly what is underway — in slow motion and on a much bigger scale. The Japanese yen has plummeted and the Russian ruble lost almost 1/2 its value. Dominoes from the crash in oil are falling. Based on the volatility in the USA index, we believe we are in the middle of some sort of derivatives meltdown. The Euro has crashed to a level not seen since 2006. While their currencies lost value, the Europeans, Russians and Japanese who held their savings in actual gold coins and bars lost NOTHING. In fact, the price of gold has gone up in those currencies. That is why prudent investors have always kept 5% to 10% of their wealth in physical precious metals. The dollar is backed by nothing but confidence and debt. The dollar seems strong because the yen and the Euro are weakening FASTER; but the true value of the dollar is declining. Do not wait for the high-flying dollar to hit an “air pocket” when the Federal Reserve finds an excuse to announce QE4. Fear can replace confidence when people realize artificially low interest rates are here to stay. Mr. Gross is now telling investors to batten down the hatches and protect their capital. To us that means converting some of your “paper investments” to physical coins – for liquidity with no third-party risk. Gold has been the safest safe-haven for 6,000 years. During the coming economic upheaval, gold and silver will perform as “monetary metals” and the world’s only real money. October 2014. Global economies are contracting. 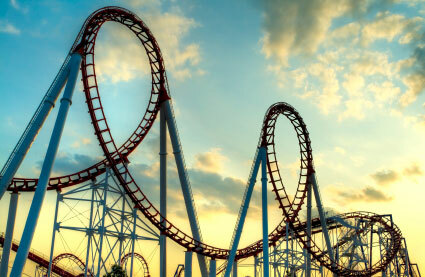 Prepare for giant swings in the stock market, trading halts in the bond market, and unprecedented money-printing. Despite the endless propaganda, the economy of the United States is not recovering. Leading economic indicators are turning down. That is why the Federal Reserve is continuing to suppress interest rates by printing money. Markets are on fire. Trading halts and “flash-crashes” are coming with increasing regularity. The stock and bond markets are trying to tell us something. Liquidity is becoming a problem. Oil is in a Virtual Free-Fall. GOLD IS A SAFE-HAVEN FROM THIRD-PARTY RISK. 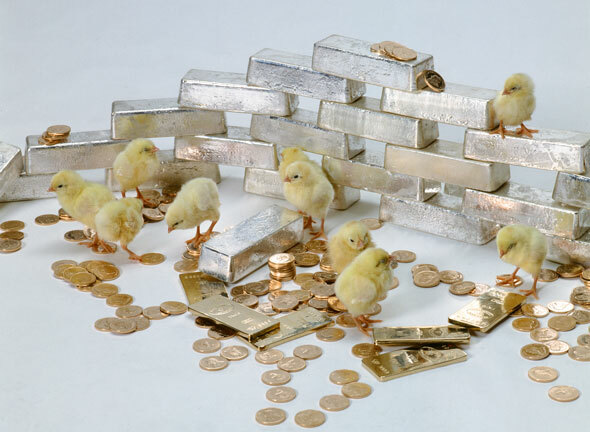 Overnight, gold and silver prices will surprise everyone. What is the #1 reason? China is the new sheriff in town. In 1980, China was a small player. Today, China is the biggest gold buyer in the world. Get silver. Stay with silver. Silver has become accepted as a reserve-asset and monetary reserve in Asia. China is now responsible for about one fifth of global silver demand. In 2014, demand for silver in India was record-breaking (November gold demand was up 38%). The affluence of buyers throughout Asia is now a significant market factor. Since the beginning of 2014, the transfer of silver and gold bars from the West → to the East (primarily to China, Russia and India) has been unprecedented. Eagles. Real money means real liquidity. Platinum & Palladium Shortages Will Drive Prices. The West has very little platinum or palladium. Only 5% of the global supply is produced in North America. World production of Platinum Group Metals is geographically concentrated: 88% of world platinum production is in South Africa and Russia (Russia 13%, Zimbabwe 5%, North America 5%); 80% of world palladium production is in Russia and South Africa. South Africa is the largest producer of platinum in the world, with 73%-80% of known platinum reserves. Russia produces 40-50% of the world’s palladium supply (Johnson Matthey). Production in South African mines is declining. South African labor disputes continue to affect supply. China’s supplies of Platinum Group Metals are depleted. China will increase imports from Russia. Large deficits of platinum and palladium are forecast. Analysts are projecting a possible ten-year supply deficit. Why Do I Have to Pay More than the Spot Price? Big changes are coming to financial markets. The Dow Jones has been gyrating all over the place. Since October 2014, trading halts have become more and more regular. In August 2015, we saw signs of systemic liquidity distress. This is not normal… Dow futures moved over 4,500 points intraday today!!! Deterioration in the global economy is accelerating. When the tipping-point is reached for global debt, fundamentals will take over all markets. Gold is firmly re-established among financial elites and nation-states as the safest, most liquid asset. Overnight, gold and silver coins will be extremely hard to find. Buy PHYSICAL gold coins — (ETFs have counter-party risk, unlike actual coins and bars in your possession.) It is prudent to have 10% – 20% of your net worth in physical gold, silver and platinum. Diversification is critical. Gold and silver are in short supply. I have not seen precious metals shortages like this in forty-four years. I shop dealers all over the country for bars and coins. All the dealers are experiencing the same thing… supplies of gold and silver are drying up. You can buy actual coins with IRA retirement funds, but relatively few trustees offer this service. Washington Gold Exchange has done substantial business with Equity Trust and Goldstar Trust. These trustees have plans where you own physical metals with storage of the metal at Delaware Depository. But because of their streamlined process and excellent track record, we primarily recommend New Direction IRA, Inc. in Colorado. If you already have an IRA with a trustee that does NOT offer physical precious metals, the first step is to open a new account with New Direction IRA. You can then send new funds into the account and order precious metals with these funds with Craig Rhyne as Broker of Record. Or, you can sell current holdings in your old IRA to get cash transferred into the New Direction IRA account. This would be done within a month to ensure no taxable event. Once the funds are in the New Direction IRA, we would buy gold and/or silver with those funds, and the metals would be stored at International Depository Services of Delaware (Newcastle). Ten Compelling Reasons to Buy Silver Now. And I mean now. SILVER IS REAL MONEY: It is easy to trade, recognizable, portable, divisible, and very rare. Right now, silver is cheap. Short-sellers of PAPER silver derivatives have provided you with an opportunity to acquire PHYSICAL silver at a tremendous bargain. (1) NUMBER ONE REASON TO BUY SILVER NOW: Bankrupt governments always end up trying to restrict, tax, and control silver. 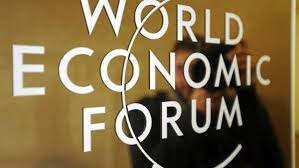 Countries are now implementing measures to eliminate cash and regulate the flow of capital. Take delivery of PHYSICAL silver before restrictions on silver transactions are imposed. To trade for necessities such as water, gas, or a loaf of bread, you would want old 90% U.S. silver coins (U.S. dimes, quarters, halves, dollars) or 1-oz silver rounds and bars. 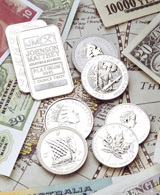 PHYSICAL silver serves as portfolio insurance. No matter what happens, actual silver will give you liquidity (with no third-party risk) and tradability. THE FARMER WAS KING. In 1923, a loaf of bread cost 200 billion marks when the German currency collapsed. But bread was about the same price in Germany as it was in America when measured in ounces of silver. The price of bread remained steady for those who paid with silver coins (marks). (3) SILVER DOLLARS ARE BETTER THAN PAPER DOLLARS. 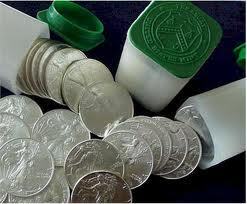 Silver money preserves purchasing-power because silver coins cannot be printed. Silver stores value (over millennia) because the supply of silver is extremely limited. On the other hand, there are no limits to dollars that are backed by nothing (called “fiat” money). At first, money-printing seems to ‘work’ and inflation is gradual; but prices take off overnight. Printing-press-money always ends up in the ash heap (no exceptions).The German mark (ℳ) is a famous example of how fiat currency goes up in flames. Germany financed war and national healthcare with money-printing. Yet, the purchasing-power of the currency remained steady as long as people had faith in the mark. 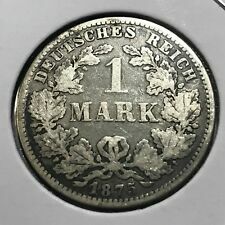 In 1919, 16 German marks were equivalent to 1 U.S. silver dollar left. The value of the mark eroded slowly and gradually. Suddenly, people lost confidence in the currency. 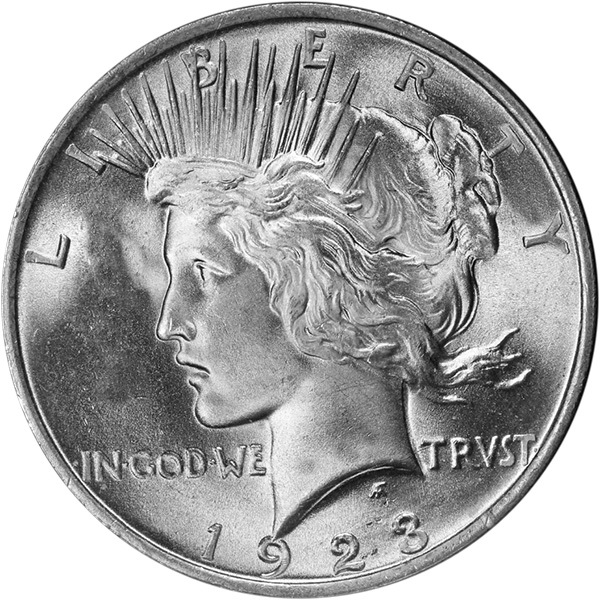 In 1923, 1 U.S. silver dollar was equivalent to 4.2 trillion marks. Silver soared as currency value inflated away. WEIMAR – First DEFLATION Then INFLATION: http://www.youshouldbuygold.com/weimar-first-deflation-then-inflation/. (4) SILVER IS UNDER-PRICED COMPARED TO GOLD. The historical norm for the relationship of gold to silver is a ratio of 15 to 1. Traditionally, fifteen ounces of silver equal the value of one ounce of gold. One ounce of gold is now about 80 times more valuable than one ounce of silver. Today, the gold-to-silver ratio is out of whack. When the market takes off, the ratio will narrow (silver will rise faster). When silver moves, the rare metal moves like a freight train. In 2011, silver climbed 160% in 9 months; supplies dried up overnight; and world mints had no silver to deliver for months. (5) AMERICA’S NATIONAL DEFENSE SILVER STOCKPILE IS GONE! It is estimated the U.S. stockpiled 6 billion oz of silver 100 years ago. In 1942, the silver stockpile was 2 billion oz. Today, there is no stockpile at all. The U.S. Mint must now purchase silver on the open market to mint American Silver Eagle coins (the new U.S. 1-oz silver dollar below). (6) SILVER IS INDISPENSABLE. Silver is required increasingly in industry because of its unique properties (at least 10,000 uses). Silver is not harmful to people; it works as a biocide, eliminating mold, mildew, bacteria, and odors in textiles, shoes, socks, and sports equipment. As the best conductor of electricity, silver is used in switches, automobiles, batteries, photography, cameras, jet engines, plastics, insulation, air conditioning, solar cells, appliances (practically every device in your kitchen has silver in it), water purification, antifreeze, all types of computers, mobile phone glass, weaponry, medical devices, hand-held computers, tablets, and high-tech everything! (7) WORLDWIDE INDUSTRIAL DEMAND OUTSTRIPS MINE PRODUCTION. All known stored silver is estimated to be only 350 million oz. After subtracting the silver needed by industry, the amount of silver left for investors is only a few hundered million oz — only about $3 billion of physical silver is left for investors (with silver at $15 per oz). The silver market is tiny when compared to paper money that is being printed. 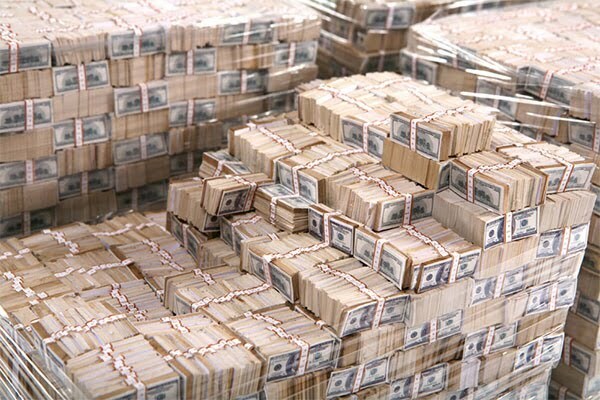 When global debt-dominoes start falling, TRILLIONS of newly created dollars will be chasing only $3 billion of PHYSICAL silver! (8) CHINA & INDIA WANT MORE. China is the world’s largest investor in silver/ copper mining operations. The Chinese government – besides acquiring silver for the central bank– is encouraging citizens to buy silver. That means significant, new demand for limited supplies. London metals traders report China and India are vacuuming up available silver GOOD DELIVERY BARS (approx. 1,000 oz, .999 fine). (9) THE SILVER PRICE DOES NOT REFLECT PHYSICAL SCARCITY. Why is silver so cheap? Brokers are trading paper contracts representing millions of ounces of actual silver on commodities exchanges in London and New York (Exchange Traded Funds and futures contracts). Bullion Banks are short the physical silver needed to cover “delivery orders.” According to our research, physical silver bars in storage facilities have been “rehypothecated.” In other words, the exchanges are selling the same physical ounce of silver over and over – 100s of times! The spot price is “managed” with a trading technique called “naked” short-selling. When silver breaks to the upside, the spot price is brought down by massive, concentrated sales of derivatives (PAPER silver). Contracts are dumped simultaneously on exchanges. Things You Probably Didn’t Learn in School About Gold & Silver-pdf (includes articles on NAKED SILVER SHORTING). (10) WALL STREET REGULATIONS ARE UPON US. The new 2,300-page Dodd/ Frank bill includes rules that allow the government to violate consumer privacy and monitor all transactions. The new law allows government to use personal financial data to regulate consumer choices. Do not wait for all aspects of the law to go into effect. Also, the war on cash is heating up – with more controls in place at banks. Governments are notorious for adopting restrictions on the movement of capital when currencies falter. Congress has tossed around the idea of imposing a Financial Transaction Tax and a Value Added Tax on purchases of precious metals. VATS around the world are used to collect up to 20% additional taxes on purchases. As the financial mess worsens, politicians will desperately seek new ways to tax. Since the global credit-collapse in 2007 and the market crash in 2008, the Federal Reserve has been directly monetizing U.S. debt (by the $trillions). “Every other attempt of the same kind in human history… show the existence of financial laws as real in their operation as those which hold the planets in their courses.” Andrew Dickson White, Fiat Money Inflation in France, p. 63, Paris, France, 1896. Own the actual silver (physical coins in your possession). PHYSICAL silver was hard to find in 2007, 20008, 2011, and after. Deliveries were delayed as much as two months. Every time a few mega buyers “took delivery” of PHYSICAL silver, dealers experienced supply-chain disruptions. Don’t wait until something spooks the markets; there won’t be enough actual silver to go around. Take delivery of American Silver Eagles. 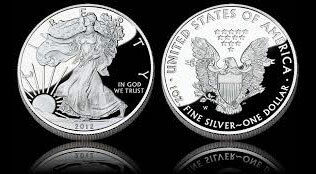 The new U.S. silver dollars contain exactly 1 Troy oz of pure silver. 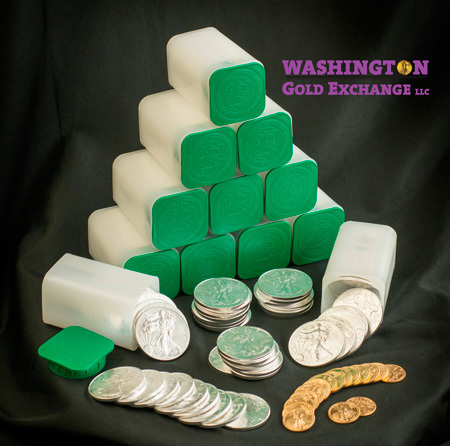 Washington Gold Exchange sells any quantity from 100 American Silver Eagles (coins come in tubes of 20). It is convenient to purchase 500 coins in a U.S. Mint “Monster Box” right. When you buy PAPER silver, you have a paper certificate. When you take delivery of PHYSICAL silver coins and bars, you have real liquidity (you are not dependent on a third party). A full bag is $1,000 face value: 10,000 dimes, or 4,000 quarters, or 2,000 half dollars (circulated, pre-1965 90% silver coins). 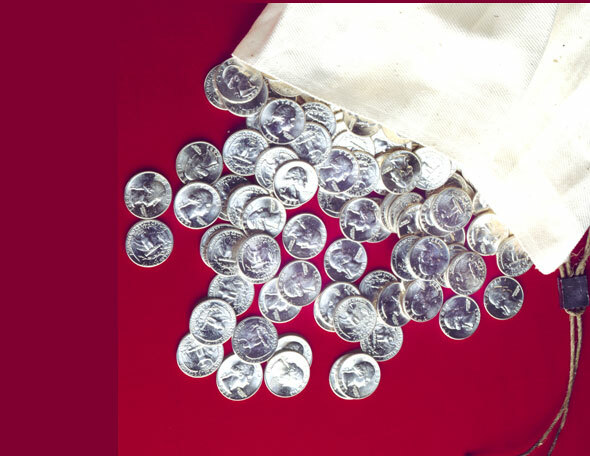 These “junk silver” coins are delivered in canvas bags of one denomination. One full bag contains approximately 715 Troy oz of pure silver. The gross weight of a full bag is 55 lbs. Full bags are delivered in ½ bags for convenience. Smaller bags are available: 1/10 bag = $100 face; 1/4 bag= $250 face value; 1/2 bag= $500 face value. CONTENTS: Ancient Monetary System & Weights: TALENT, MANEH, SHEKEL, GERAH, BEKAH; TROY Weights; METRIC Weights; CARATWeights; KARAT Purity; MILLESIMAL Fineness; FAR EASTWeights; British POUND (Pound Sterling, Pennyweight, Sovereign); DOLLAR (Old U.S. Gold Coins); Historical GOLD-to-SILVER RATIOS (U.S. 90% Silver Coins, Gold & Silver American Eagles); BIBLE Weights (Conversion TABLE); WORLD COINS (Gold Contents). you own actual silver coins and bars, you have real liquidity. Economic Bubbles Cannot Go On Forever. It is now six years since the 2007/2008 financial crisis. Today, many nations are bankrupt, many municipalities are broke, and millions of people are under water. However, that is just the tip of the iceberg. 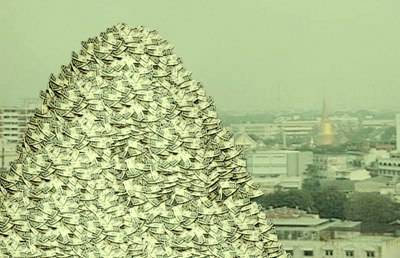 In order to paper over the fragile world banking system, central bank credit has created/ enabled/or financed more than one thousand trillion dollars of derivatives debt. Few of us understand derivatives trading or how the highly leveraged market works. But we do know speculation in derivatives brought down the United States housing market. Derivatives debt for the planet is estimated to be more than $1 quadrillion — $1,000,000,000,000,000. The combined GDPs of the world are called the Gross World Product (GWP). In 2011, the total GWP was U.S. $70.16 trillion ($70,160,000,000,000). There are 3 more zeros of derivatives debt than the combined value of all goods and services produced on earth. Derivatives are financial instruments that derive their value “by reference to an underlying asset.” What underlying assets could possibly give value to $1 quadrillion of debt? One trillion is one million million. One trillion is 10 to the 12th power. One quadrillion is one thousand million million. Picture a man who can earn $100,000 per year ($100 thousand). He makes $100,000, but he owes $100,000,000 ($100 million). No matter if the man lives in painful austerity, he will never be able to pay off the debt. 4) Eventually, the highly leveraged debt will take down the entire global economy. Can central banks inflate the quadrillion dollar bubble forever? The climactic end of the dollar bubble is certain. The derivatives debt of America’s too-big-to-fail financial institutions can never be repaid (without hyper-money-printing). Across the globe, there are more Lehmans, AIGs, MFGlobals, and Bear-Stearns now than there were in 2008. Just one collapse could ignite the fire of contagion. Banks’ exposure to derivatives debt will be crippling during subsequent market gyrations. 2011 estimates of derivatives exposure: JPMorgan $70 Trillion; Bank of America $50 Trillion; Citibank $50 Trillion; Goldman Sachs $40 Trillion; HSBC $4 Trillion; Wells Fargo $3 Trillion; Bank of New York Mellon $1 Trillion; Morgan Stanley $1 Trillion; State Street Financial $1 Trillion. IRAs/ Pension Funds: Fear is Driving People to Cash Out. A few days ago, I heard from an old customer. 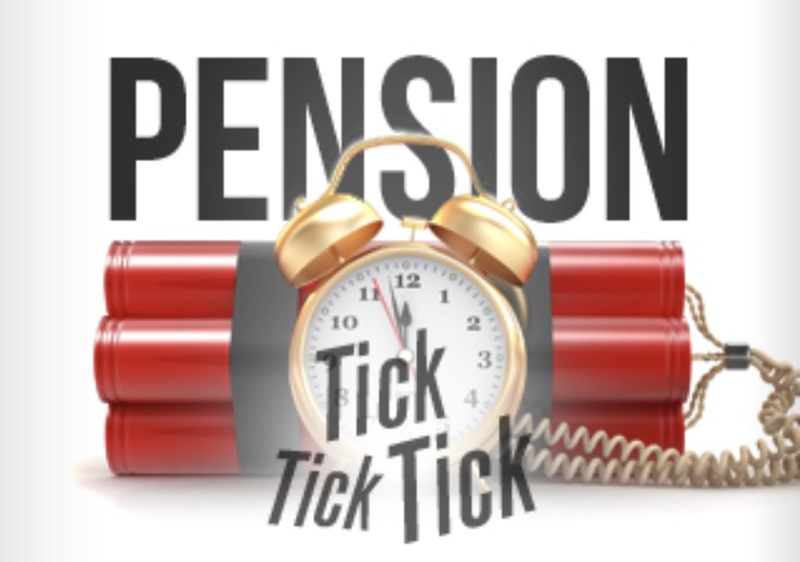 As with so many others who have called, her pension fund had taken a huge hit since the crash. In 2008, her IRA account was worth more than $1 million. Last week, the trustee said it was worth $550,000. She bit the bullet and cashed out her IRA. She told me she has been watching what is happening all over the world – capital controls; ‘soak-the-rich’ taxes; seizures of bank accounts (bail-ins); and forced conversions of private retirement funds into government bonds. She believes our own government is going to do the same as more than a dozen industrialized nations have already done. she put the remaining $346,000 into gold and silver coins. A gutsy move and also a very smart move. Her decision to convert paper assets into gold and silver coins is prudent considering the rapid devaluation of the U.S. dollar.